Prominent rights activist Oyub Titiyev was sentenced on Monday to four years in prison on drug charges by a court in Chechnya. The ruling has been described as an effort by authorities to suppress one of the last human rights defenders in the Russian province. After sentencing, Titiyev said the case against him was "fabricated"
Supporters of Titiyev packed the room where the ruling was delivered. 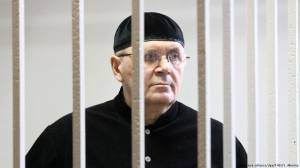 His 72-year-old sister Zharadat Titiyeva decried verdict, saying authorities sought to silence him and smear his reputation as a devout Muslim who doesn't drink, smoke, or consume drugs. Council of Europe Human Rights Commissioner Dunja Mijatovic denounced the ruling, saying that the charges against Titiyev "lacked credibility." 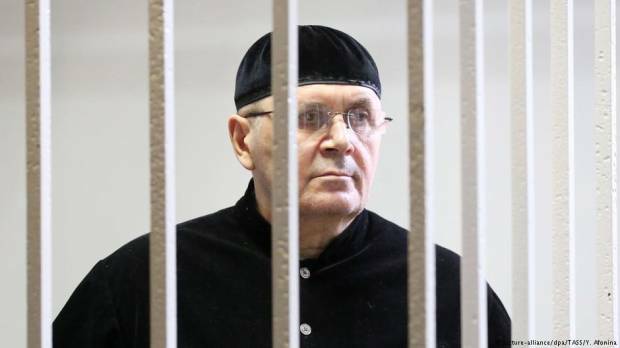 Mijatovic referred to the conviction as "the latest example of the hostile and dangerous environment" for rights activists in Chechnya. Tanya Lokshina, associate director for Europe and Central Asia at Human Rights Watch said the case against Titiyev was meant to "punish him for his rights activism and drive out Memorial, which is the last remaining rights organization present in Chechnya." : Titiyev lead the local chapter of prominent rights group Memorial Human Rights Center and played a major role in exposing extrajudicial killings, kidnappings and torture perpetrated by security forces in Chechnya. The authoritarian leader of the North Caucasus republic, Ramzan Kadyrov, had publicly labeled Titiyev a "junkie." His predecessor Natalya Estemirova was kidnapped and brutally murdered, in a case that unsolved. Kadyrov has vowed to make Chechnya a "no-go zone" for human rights activists, who he has said are no better than "terrorists and extremists."